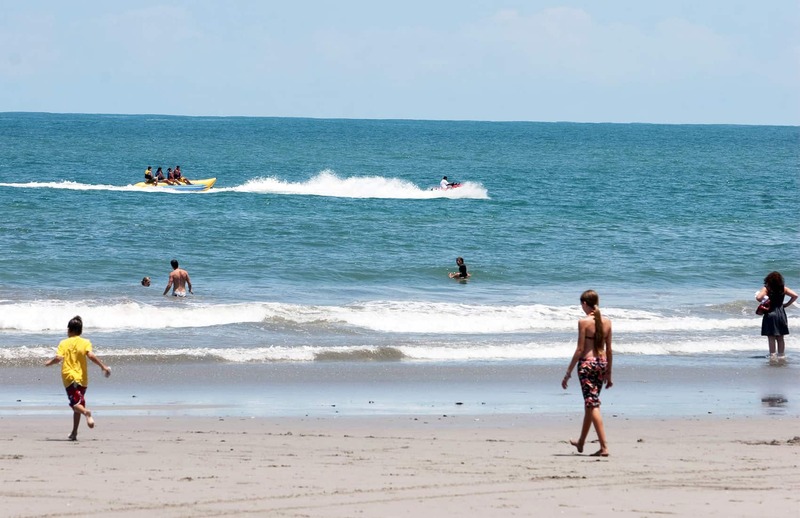 With just a week to go before the start of Costa Rica’s mid-year vacations, the demand for lodging remains low. And although tourism business owners hope this year will be better than last, they also say the 2014 World Cup in Brazil will lower occupancy rates here. Those were some of the conclusions of a recent survey by the National Tourism Chamber (CANATUR), who interviewed 115 local tourism business owners. Just under half – 48 percent – said they believed the World Cup would negatively affect their businesses. The survey sought to identify factors that could pose a threat to achieving greater demand during the mid-year break, which runs from June 27 to July 13, and to measure expected occupancy rates and the number of reservations made for the period. “The World Cup usually boosts business, but our tourism sector believes that this year it will harm businesses, as local tourists stay home to watch the games instead of traveling locally,” CANATUR President Pablo Abarca said. Despite the negative outlook, business owners expect an average occupancy rate of 68 percent, which is higher than the 56 percent registered during the same period last year. “Occupancy rates last year were particularly low, therefore expectations for this year are that everyone will get back to normal,” Abarca added. Other concerns business owners have include adverse climate conditions and difficulties accessing locations (15 percent of those surveyed), a recent national teachers’ strike (10.4 percent) and increases in exchange rates (7 percent). One in five respondents said they expected no change over last year. In the most popular tourist areas, business owners remained optimistic. In the Northern Zone, 76 percent of respondents expected business to be better this year than last, followed by those in the province of Puntarenas – which includes ​​Monteverde Cloud Forest and some of the Gulf of Nicoya Islands – at 74.4 percent. Businesses in the Caribbean region and the Central Valley were the least optimistic, with 62 and 52 percent, respectively, saying they expected better numbers this year. Classified by type of lodging, owners of beach lodging were the most optimistic (73 percent), followed by mountain lodging (66 percent) and city lodging (56 percent). Abarca said that business owners should use these results to outline strategies to attract local tourists during this period.